Corrosion is one of the primary reasons that sewer systems lose their structural integrity. Corroded sewer pipes may allow greater inflow and infiltration into the collection system, further deteriorating reliability of the network by causing undesirable conditions such as surcharges and overflows, ultimately requiring premature replacement of the pipes. Corrosion of unprotected concrete or metal surfaces is primarily due to the production of sulfuric acid in sewer systems through oxidation of hydrogen sulfide gas by bacterial action on the exposed surfaces under aerobic conditions. This type of corrosion is commonly referred to as microbially induced corrosion. Corrosion in InfoSewerH20Map Sewer Pro suite helps wastewater engineers to predict the rates of corrosion of the sewer pipes in their collection systems under varying environmental and hydraulic conditions. It enables them to pinpoint corrosion problems, prioritize repairs, specify corrosion resistant materials or select other forms of corrosion protection (e.g., protective linings). where C, k, and are consistent with the definitions given above. The default values used by Corrosion PredictorTM for k and A are 0.5 and 0.5, respectively. Biochemical Oxygen Demand (BOD) is the most widely used parameter of organic pollution in sanitary sewer systems. 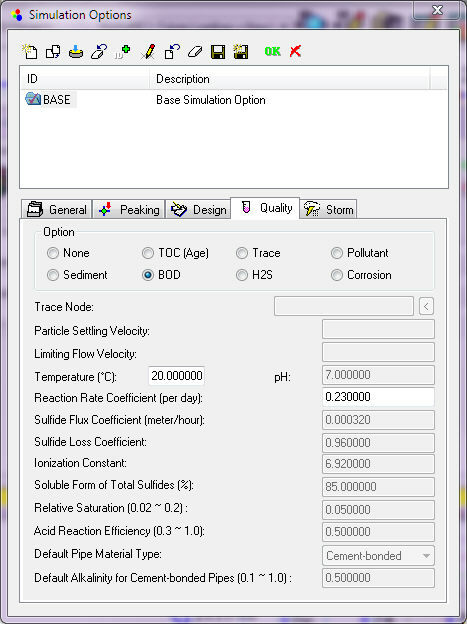 The ability to model BOD is of great importance in wastewater engineering to assist wastewater utilities in (1) estimating the quantity of oxygen required to biologically stabilize the organic matter present; (2) determining the size of wastewater treatment facilities; (3) evaluating the efficiency of the treatment process; and (4) ensuring compliance with wastewater discharge permits (Tchobanoglous 2003). where k20 is the first-order reaction rate constant at 20oC (1/day) and T is the temperature (degree Celsius). The value of θ is 1.056 in the temperature range between 20oC and 30oC and 1.135 in the temperature range between 4oC and 20oC, with a typical value of 1.047.InfoSewerH20Map Sewer Pro determines and uses appropriate values of k and θ based on the user-specified temperature. 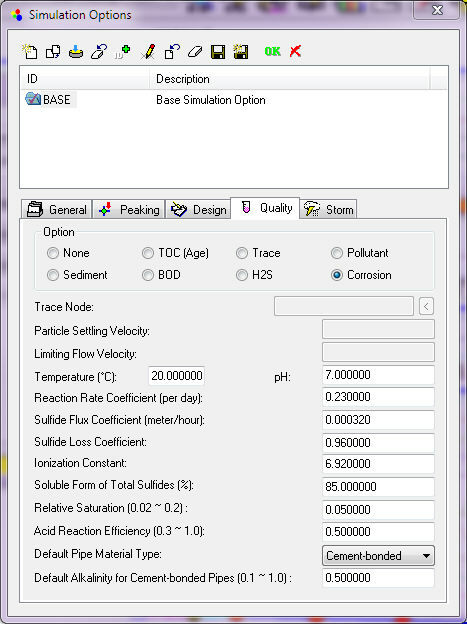 The default values used by InfoSewerH20Map Sewer Pro for k, θ, and T are 0.23/day, 1.047, and 20oC, respectively. Very interesting application. How often are susceptible areas tested. Are H2S concentrations in water tested directly to corroborate the prediction software?